Previously called “Farming Event/Bullying Event” Voucher Event is back! 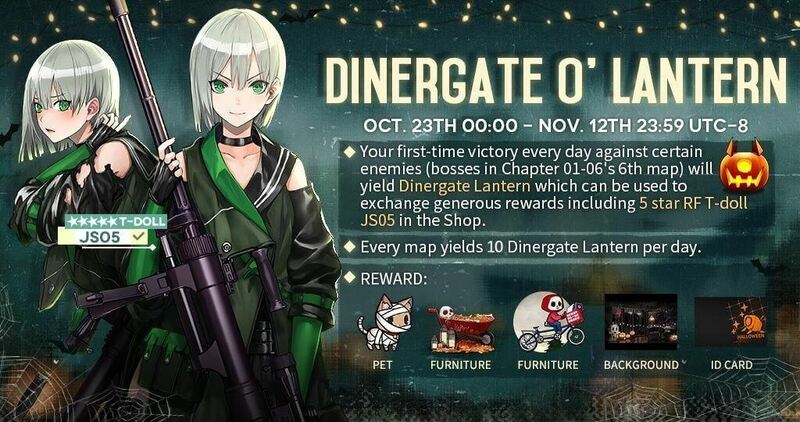 This time we have JS05, 5-star T-doll as one of the possible reward. 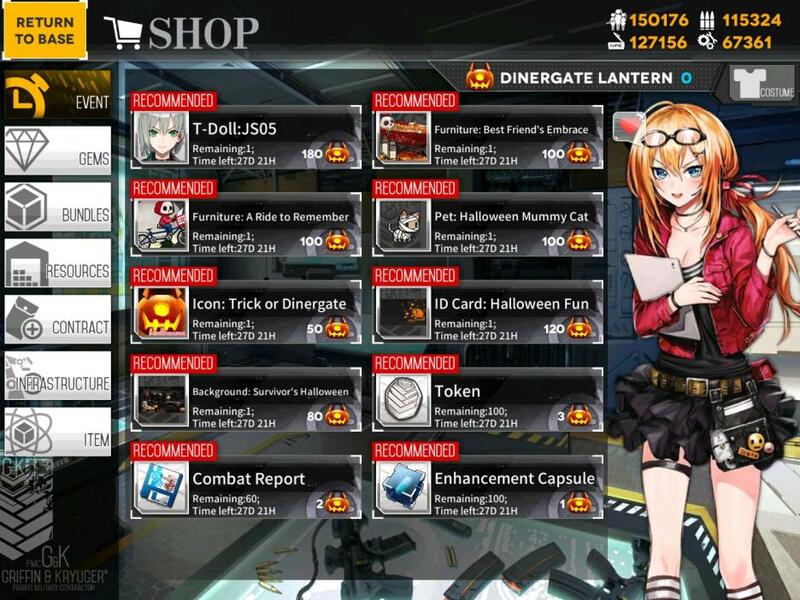 You will have again 21 days to farm for the event and 10 lanterns from each boss: adds up to 60 Dinergate Lanterns each day. 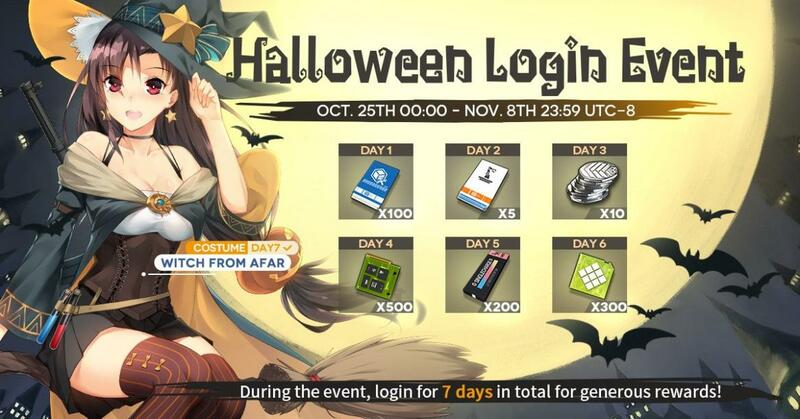 Don’t forget also to log in daily for the log in event during Halloween!